ROLPA, July 18: On February 13, 1996, a group led by the current Vice President Nanda Bahadur Pun attacked a police station in Holeri, marking the beginning of the decade-long armed Maoist conflict. 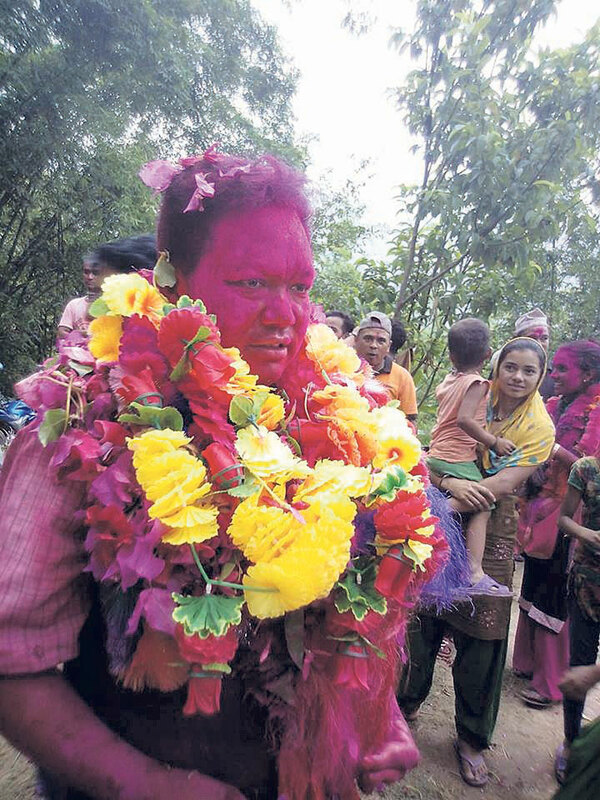 Gunendra Gharti, who was a member of that group has now been elected as the chief of Subarnabati Rural municipality of Rolpa. Despite his disability, he continued working for the party and in the year 2000 grabbed the responsibility of the rebels' armed force again and moved towards the Gandak region. He actively participated in some famous Maoist attacks on security installations such as the attack on army barracks in Dang, Arghakhanchi Sandhikharka attack, Salyan Sitalpati, and the accident of Krishna Bhir. He sustained a serious bullet injury during the attack of Sandhikharka. Gharti was actively involved in politics since his student days. Gharti lost his elder brother during the conflict period and his nephew is still missing. As his father was arrested in the year 2000, he is greatly disappointed with himself that he could not meet his father during his final days. “My father died on the day I returned home. I could not even have my final words with him. I immediately performed the final rites and then headed back to my work the same day,” he said. After being elected the chief of the rural municipality, he says his perspective and opinion on a lot of things have changed. “I have already started feeling the pressure of my post. I have realized that fulfilling the dreams of many is not as easy as protesting for a cause,” he added. Gharti's wife has been elected the vice-chairperson of the same rural municipality. According to him, whatever happened in the past was for a cause but there are no grudges left in him against anyone and now he is planning for a new beginning not just for him but for all. As the rural municipality lacks transportation, electricity, drinking water, education and other infrastructures and services, Gunendra is willing to work on these issues.